Kickstarter.com is quickly becoming the go to place if you have an idea and need to crowd-source money to fund it's manifestation into reality! You no longer have to go to the bank and ask for a loan for your next great idea. You can get the very people who'd love to buy it to crowd-source it for you. This means you can basically tell them all about it in a venue that caters to people looking to be a part of the next big thing's invention and owning the charter (first out) versions just past the prototype stage, and whom are willing to share their money for your vision (and their very own unique product!). Prepare to learn about a phenominal way to make money with your ideas without giving up equity, copyright, or anything else (but your time). Forget the invention submission corporations, this is the loophole (and a really fun site to look through, even find great ideas, the secret idea water hole for articles to write on Wizzley)! Sites have been popping up all over the radar but one in particular stands out in the creativity field. Everything from creating the next Facebook to creating the first iPod watch have been submitted with staggering results! Someone even had a dream of snail mailing (that's offline mail) letters to people all over the world and have posted campaigns asking for funding to buy stamps! (AND GOT THOUSANDS!). I tried to put my Luck Generator meditation CD on there but no dice- apparently they have limits to what they will take and anything self help or related is out- but creativity- is in. This means art books made from your photographs are in, inventing technologies, even dictionaries that have been folded into lamps are also in. I first heard of Kickstarter.com about a year ago when I read a post on Mashable about how some kids were going to make the next Facebook called Diaspora, only it would be with privacy features utilizing a hub like interface that allowed you to remove your "seed" or module from the web completely as well as control all it's privacy and distribution. The thing that made this cool was they generated an amazing 200k practically overnight and spent the summer hashing out the code. (It's out but didn't really catch on). This was at the time a record on the site and anywhere really. LunaTik Breaks Dispora's Record With $942,578 In Funding! They were only asking for (as you can see from the image to the left) $15,000 and generated almost a cool Million dollars! The guy running the ad turns out to be Nike's own designer retired, see those skill sets aren't lost in retirement! 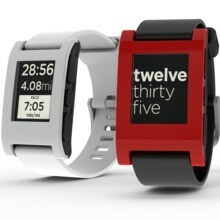 Pebble (iPhone Friendly Bluetooth Watch) Breaks Lunatik's Record To The Tune Of $3,239,446 In Funding!!! Other products have come and gone, some great, some not so great, but many that have made a nice chunk of change for those with the courage to chase their dreams! The current iPhone friendly watch is the leader with over 3 Million dollars ($3,000,000 that's 6 zeros). This guy realized there was a serious iPhone market wanting this technology. The technology existed exclusively for Android phones but iPhone users were basically up the creek, and this guy had the paddle, or is it Pebble- the name of his creation. This watch (full thing) uses Bluetooth to expedite between the iPhone and even works with Android phones! It essentially uses open source software (I think) and the new e-Paper technology (used in Kindle's original version)... It uses aps to move data between the iPhone and the watch that you can program to your liking. He went a step further in offering the source to allow developers to create custom aps- so it can be continuously upgraded within it's capabilities. You Could Be One Of The Next To Break THAT Record, but why not just try to break a personal record instead? Since then (a year ago) I had been trying to conceive something I could use the site to create. The idea is you post a "beg" I call it, a page designed to allow you to captivate a thriving communities attention via a video at the top, a short article describing your idea and how it will come to fruition given you get enough money, then even create several award systems- ways to gather the "donations". For example most people have the 1.00 - 5.00 donation, which they get nothing really but a warm feeling that they helped make something happen. This is also used as a sort of notoriety later when you want to get people to donate to your project as it stacks your donations up and displays them. The site is actually geared towards commercial application- inventors have a great place to make their dreams a reality without having to worry about middle men like those invention sites that supposedly assist you. You can also just have a great idea one day, hmm, I'd like to build one of those BSG Vipers into a flight stimulator (not misspelled), and maybe I can get other "fans" to pay for it and join in on the fun via a communications portal (FB page? Site with updates and exclusive access for donators? etc...), YOU CAN DO THAT! People have built huge robots, created parties, and more with this site. If It's creative- it's doable... you'd be surprised just what is allowed and what people will donate (and not expect much in return) into! Getting creative with offering them something tangible of value that costs you nothing (i.e. a fb page, access to schematics of the project etc...) people will bite. It's micro-crowdsourcing, but has a major impact! It takes a product to the market and costs nothing to post the idea to the site. The site earns a 5% commission on your final take/donations. The beauty is you can post as many as you want- they are moderated, however, but the rules are clearly laid out in the TOS (which I read after trying to submit my project). Want to build a real life meticulous version of the Delorean on Back To The Future? You can do that. Want to Build a life size Darth Vader Suit? Build a page see if anyone wants in! Want to make a feature film? Thousands of people are using KS to power the financial end! Want to make a comic book series? Sitcom? Web-series? Yes. Yes. Yes. All being done now! Use Kickstarter As Inspiration For Phenomenally Cool Wizzie Stories! It's mind blowing what people are coming up with... I get feeds from KS directly into my mail box, I see what's new as it hits- it's great news and great blog ideas (ehum wizzies anyone?). They love the syndication (some even offer "media packs" with pictures you can use- they want you to write about their product and KS page, just be a lamb and offer a link back to it to help them syndicate it. The products that are really amazing make great pages to create- I mean your already blown away and want, no need to tell someone what you saw- now you can help them and get a great story for your blog. It's Pure Adrynalin Blog Fuel! FREE Market Research, FREE Posting, Post an idea that is just that- An Idea, Use The Money To Bring It Into Reality- This is what most people do! If you post an idea and nothing happens, you lose nothing, just try again with a new idea or improve your page so it grabs more attention- they even mention if you fail try a new approach and learn from your feedback- even sites that get no backers often get comments, questions, etc... that's valuable FREE market research! The idea is you can post for free, get feedback and potential donations. You have to get at least what you say you need, i.e. if you post a picture book and want money for publishing it and mailing it out to the tune of $5,000.00 you must reach 5k or the whole thing voids out. That means if, on the last day of the posting (it's limited to 30 days I believe) if you've accumulated 4,999.00 you get NOTHING and the project is a flop! (so have some backers on standby for that 1.00 just in case, unfortunately you can't donate to your own cause, but I'm sure if your an inch from fame you'll have some way to convince someone to donate it, just keep an eye on it until it reaches funding amount minimums! Most people watch their page and aggressively promote it to friends and family, FB, Twitter, and anywhere else. In fact if the page that this article is about mainly were still live- THIS wizzle would be sending people to it likely... There is no limit to how you can market it, but you can't spam and all that jazz (duh)... Many even take it offline with flyers and what-not. The beauty of the site, however is, like when someone appears on "Shark Tank" a television series where investors with billions get to hear your idea and fight over who gets to invest in your idea (or work together to all invest and consolidate resources/experience), there are minimum limits but NOT MAXIMUM ONES. The beauty of the way KS works is that your literally offering them something (or nothing) for their money and beyond that you have no obligations. This means if they donate to get a bonefide copy of the product once you ship them that product your done. If you get 3 million but only need 1 million to create all those watches, the 2 million is yours to do with as you please! They are literally ordering from you, profit is part of that equation (and is understood by all parties). On shark tank your giving up equity in your business forever- on KS your just offering them something for a donation! back to the minimums required and no maximum donations amount. This means if you ask for 5.00 and get $3,000,000 you get 3 Million! You don't want to ask for too little, however, because the asking price revving up generates interest, and people love to flock to a "popular" listing don't they?! The Diaspora Team asked for I believe 15,000 dollars and got $200,000 and some change, so the system works! This Kind Of Opens Doors Doesn't It? So if you think you have the next million dollar "why don't they invent..." Idea, you can now become the "they" in that equation. If your resourceful you can figure out all the details i.e. how to get a design created from your prototype or drawings, then how to find a manufacturer to punch it out for you, how much that would cost, what their minimum gross is, and all that jazz. These companies are out there and will deal with ANYONE who can meet their minimum requirements. Until recently, only big companies could even think to ask them to tool up a design. It doesn't take having money first to figure out what is needed. In fact with the web you can figure it all out then the only thing needed, the thing that talks when BS walks- you just need the cash. That's where Kickstarter.com comes in. Book Writers Rejoice! A New Publishing Medium Is Here! Some ideas are simple to implement- i.e. a book can be published from and printed for your customers at LuLu.com or the other thousand out there, all you need is the money to order them wholesale- you can set up your project and order them having them drop shipped to the donators. If you don't know anything about tooling up (type facing etc...) you can use part of the profits to pay a guy who does (the site there actually has a service for fully automating everything just send them content and pay them... you can also use freelancers who know this stuff and have published (and purchased the expensive software to create the books pro look) to do it. In the end the only thing you really need (beyond the product idea, book contents, etc...) is the money to put the whole thing into motion! Don't be ashamed to ask for what you need to produce the book or product completely (including all expenses) and don't forget to include your time and processing (the profit)- nobody expects you to work for free! Once you have your ducks in a row, you probably want to conceive at least one prototype or a video animation markup to prove how cool it is, write up a compelling article, and make a compelling video to sell the idea to the masses. The beauty is there are no time constraints other than those you set (as far as product creation/implementation of your idea after funding is complete). The Diaspora team elected to spend the 3 months of summer to build it, before that they just had an idea and a vague plan! You want to set realistic time tables, people don't like to wait too long. For example if your offering a smart watch and you plan to later retail it at likely twice or more the cost of a donation (so donating you get in on the ground floor pricing- wholesale) you can offer at a higher donation 10-100 watches at the ground floor price. Retailers are also watching these sites to find their initial stock of a brand new idea- the biggest sellers! Some people get mighty creative with their reward/award levels. Things like 1.00: a thank you 5.00: an email thank you and your name displayed on their site prominently as the original funders of the idea (so when it's big you'll get notoriety) 25.00 the product + design schematics 500.00 25 of the product (in all colors), a hand written thank you, 1 day with the creator to ask anything you want on Skype or even in person if your willing to pay to get there! ... and so on. I think you'll find this site pretty fun just to look around in. It's pretty amazing to see things right at the cusp of being invented! These are often ordinary people with drive to create a page and figure out how to manufacture it. One family actually did a page that gave the donator nothing but a thank you and to get to be a part of every step of creating a replica of Battlestar Galactica's viper in a VR game that is a full size viper being built! So not everything is for getting something (although I believe they gave donators schematics, access to the code of the game which they were also creating, and things of that nature). The site is pretty amazing and talk about inspirational! You could effectively have a book idea, post it on the site and ask for people who want to buy a copy essentially, and of course a signed copy at a higher donation/award level, a day with the author etc... and if you get funding you would essentially write it and mail it out! Kickstarter doesn't take any of your copyrights, they just give you the venue to ask for donations and generate money when someone has a winning idea funded. The site name does what it says- it kickstarts your business, your idea, your invention. Most people who create a winning product use the excess profits to retail it and get it to the next level. Although you could just use it to make a quick buck, why would you stop there? When I started this I was just going to blog about the guy who made 3,000,000 in 30 days on Kickstarter- well, as you can see this became a whole lot more. That's what happens when you get excited about a concept and try to blog about it. I'd wanted to tell everyone about kickstarter since I heard about it but over the last year my busy schedule didn't permit it and I simply let it go to the way-side. I keep getting the emails but haven't yet blogged on any of the things I saw until now. I think I'll start so expect some cool product wizzles (what we call articles here on Wizzley.com non wizzley authors click that link to claim your free prize (a digital Lego set for writers, absolutely free to play with!). If you create any Kickstarter projects I'd absolutely love to hear about it and I'd even love to help you syndicate by blogging about YOUR product so don't hesitate to get your free press by returning here and leaving a comment (or email me using the link on this or any of my pages). I wish you luck, when time permits it I plan to release a project there (or 2 or 3 or 4...), I have more ideas than articles (1k+) to migrate, but too much going on to act on it (yea yea I know, excuses excuses, I'm working on it!). There are many more like it for different Niches (this one is creativity which is a very wide angle lens, others allow you to use things KS doesn't but I'm finding there are limits to full retention of your copyright in other places). One other site I love is Quirky.com but am not sure about because they literally take your idea, create the product, bring it to market and pay you a commission/royalty on it- but you relinquish the ownership of it if they use it (not before). This is a great idea if you don't care to market it anyway, as they just pay you and do all the work. You post your idea but have to pay 10.00 for the privilege- this cuts out the people who aren't serious and cuts out ridiculous ideas from flooding the site (they say). If your idea is picked it "may" be created and marketed. The guy who runs the site has massive connections like the shark tank investors I mentioned above. If your product doesn't get picked because their marketing research doesn't show it will earn, this is not a loss. They choose one product a week, I think, then move it into their development team to do market research etc... They send you a free copy of this research so for 10.00 you get (it's a gamble to get your idea picked so be choosy with what you submit- you can also submit it again and again, especially after it's picked but not chosen for deployment if you use the market research they give you to improve it and submit it again to see if this version will work. A few people did this with great success! Thanks Craig, I'll check out your KS! Hi Bizilady! Thanks for reading :) I was shocked when I found out about this "realm" of making money using crowdsourcing, it's fascinating to say the least and the things you can crowdsource at KS is amazing, I mean one guy actually got 11k to build a hovercraft deloreon like on Back to the future! Kind of makes dreams a reality and money a non issue huh? As far as getting their ideas stolen, theres a few ways to do it- 1. the post on KS serves as a copyright- proof you came up with it first, however the new law states whomever patents it first gets it, so if your idea is really good, patenting it is key. For many people when they get the funding they will likely use part of it to pay for the patent pending process so that's one way.. for the quirky site your giving it to them straight up for a royalty so there's no worry there- they take care of protecting it, marketing it, getting it into retail stores and you sit back and make money- but it's iffy. As far as a book copyright you can write the book after getting funding (or before) then you'd mail yourself the manuscript- that's copywritten, you can also officially file for a copyright but mailing it to yourself is a first step and the post mark is proof (you don't open it after mailing it to yourself). I really like the idea of using it as a way to fund getting a book published (self publishing) and sold before sending it to any publisher- once you get a bunch of sales you can actually use this data to woo a real publisher if you like with proven sales- and the best part is it costs nothing to post on KS! Well these are interesting ideas and sources of venture money i never knew existed. I wonder how the "inventors" keep their idea from being stolen?